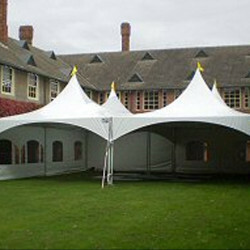 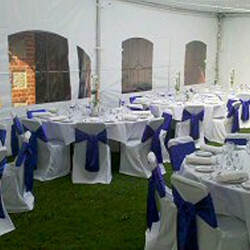 18m x 12m swooping peaks perfect for formal sit down wedding for 120 guests. 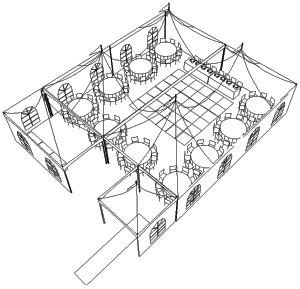 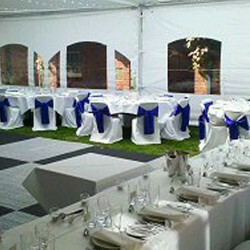 Bridal table at the head of the Marquee with a large dance floor installed on grass. 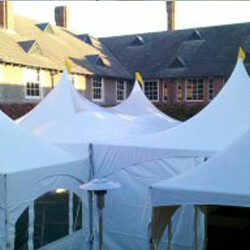 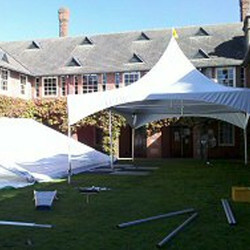 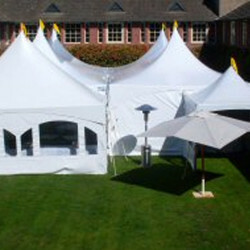 A small entrance tent walking through to round tables of 10 people, making an amazing space for their wedding.